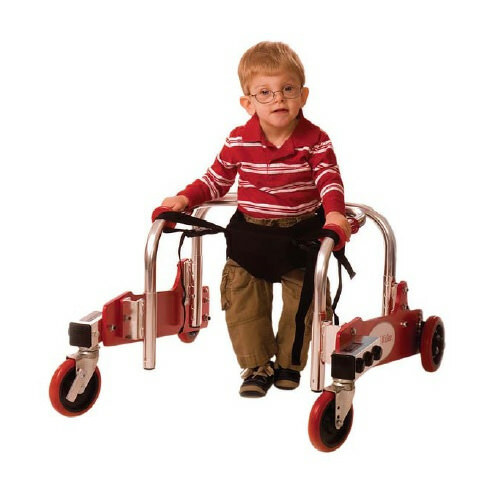 Kaye red walker is a posture control walker with a family-friendly design to appeal to young children and their families. 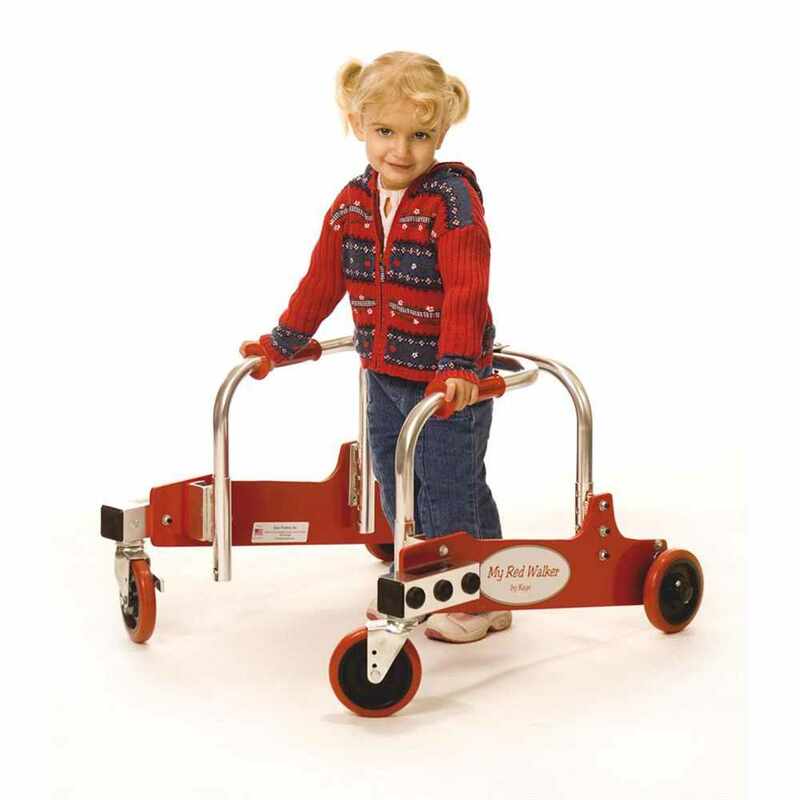 Red walker places the support behind the child to insure upright alignment and places the child’s center of gravity within the base of the walker for safety and balance. 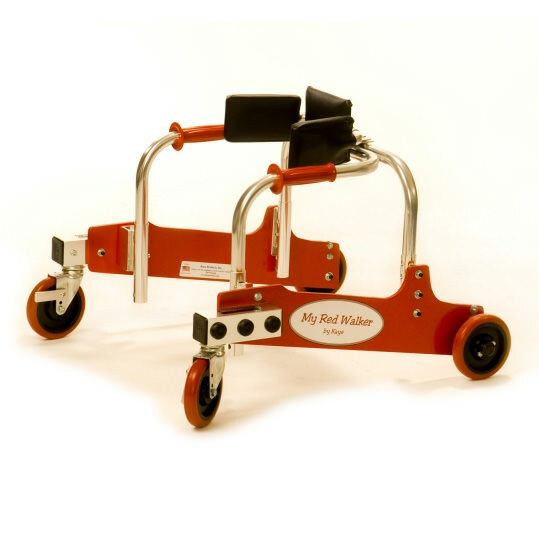 Red walker features lockable front swivel wheels, for in line walking, and one-way ratchet rear wheels to ensure the walker only moves in forward direction. 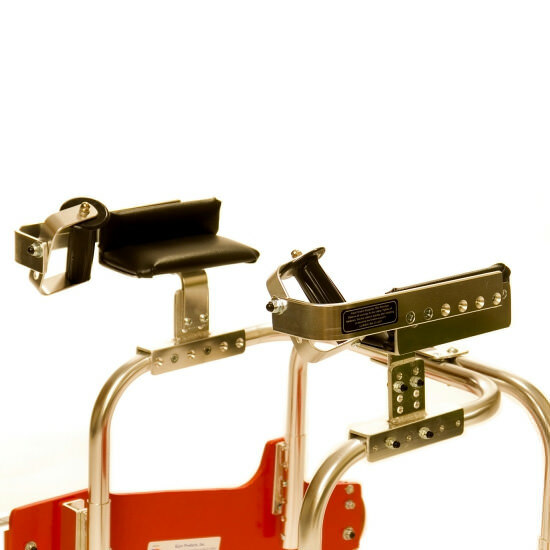 Height to top of handgrip 13½" - 18½" 17" - 25"
Distance inside handles - depth 9½" 9½"
Distance inside handles - width 13½" 13½"
Weight limit 60 lbs. 85 lbs. 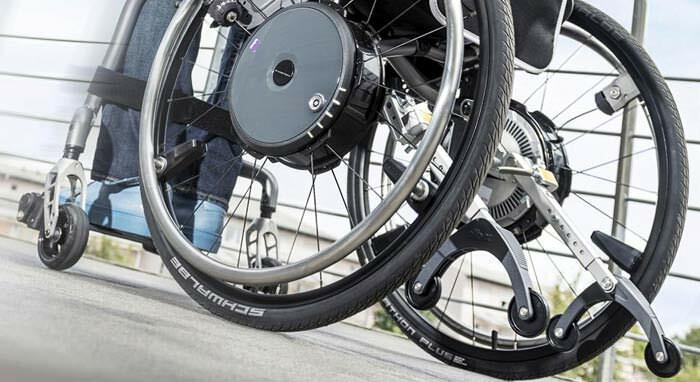 Forearm supports - FSA Adjust from 4" to 7¾" Adjust from 4" to 7¾"
Pelvic stabilizer - PS2H Adjusts from 8½" to 11½" Adjusts from 8½" to 11½"